After having 4 daughters, Aaron and Misti Wood were ecstatic when they learned they were going to have a son. 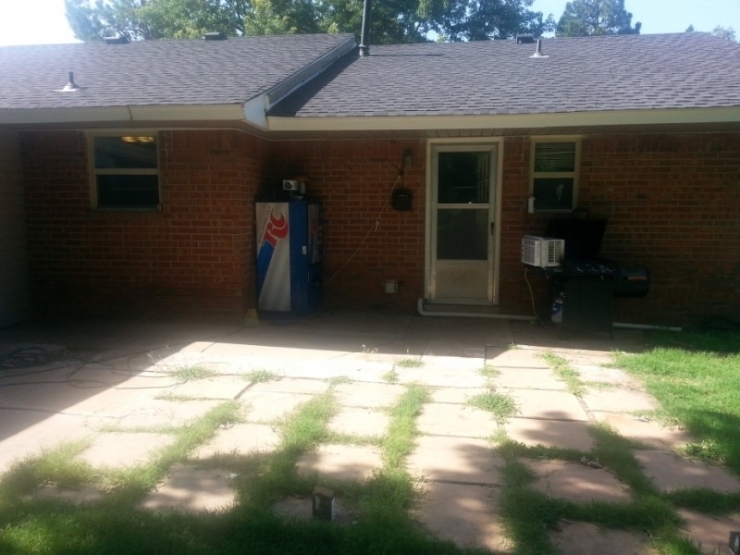 They had recently bought a house in Mustang, OK with an acre of land for their children to play on. Aaron dreamed of having a son that he could coach in soccer and baseball, a son he could take camping and fishing. Kellan Wood was born on July 2, 2013. After Kellan was born, it slowly became apparent that he might never be able to do those things. The excitement of Kellan's birth was quickly replaced with fear. He was immediately rushed to emergency surgery due to medical complications. 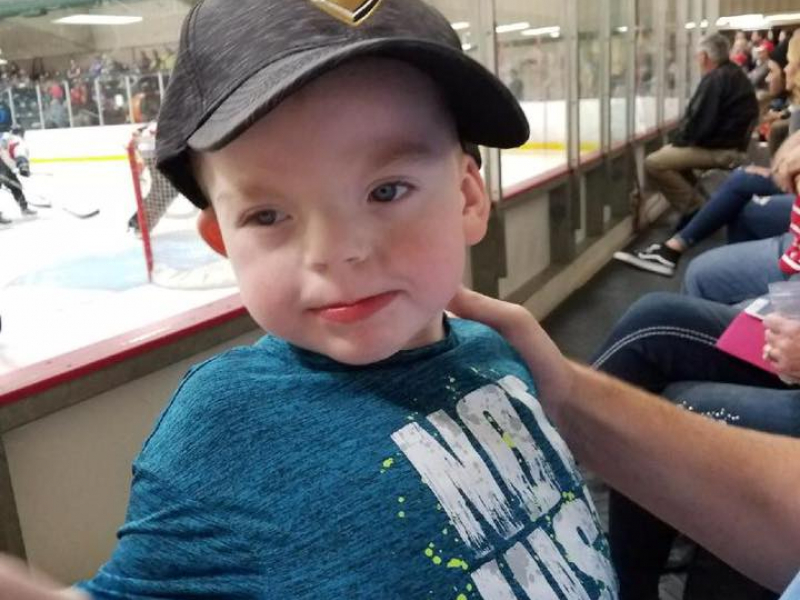 When Misti later saw him in the NICU, she noticed his eyes were spaced widely, he had a very flat, broad nose, and his ears were lower than she thought they should be. 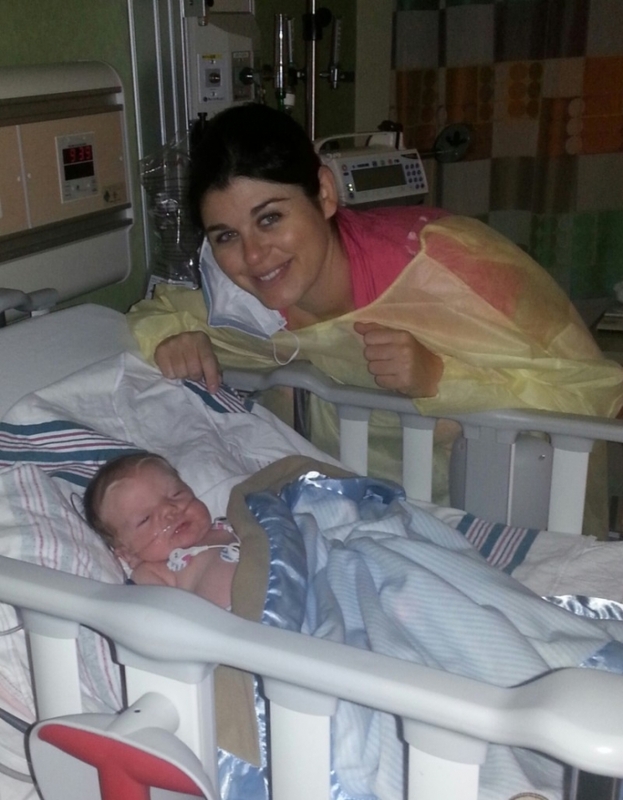 Nurses assured her that there was nothing abnormal with Kellan, but this wasn't Misti's first rodeo. Already a mother of 4, her maternal instincts were telling her otherwise. Unfortunately, the coming months confirmed many of Misti's worst fears. 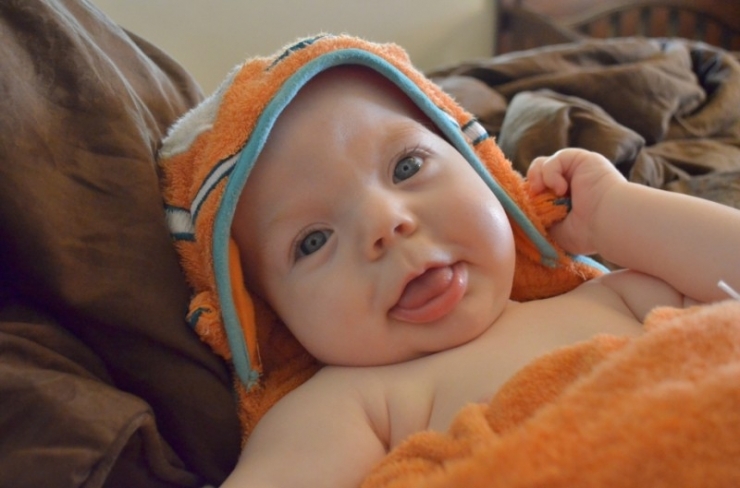 Kellan was having difficulty breastfeeding, which Misti believed was because he was tongue-tied. "The inside of his mouth looked like a spider web," she explained. Her research led her to a doctor in New York that specialized in surgery on newborns. Misti hopped on a plane with her baby boy. The laser surgery proved successful and Kellan improved at breastfeeding. Then on the flight home, Kellan seemed to be having difficulty breathing. He was getting pale and his lips were turning blue. As soon as they landed, Misti rushed him to their pediatrician. An MRI showed that both of Kellan's temporal lobes never formed by folding over. There was a 50% chance he would be developmentally delayed. They also discovered Kellan had laryngomalacia, which is a flap of skin that covers the airway when you breathe. 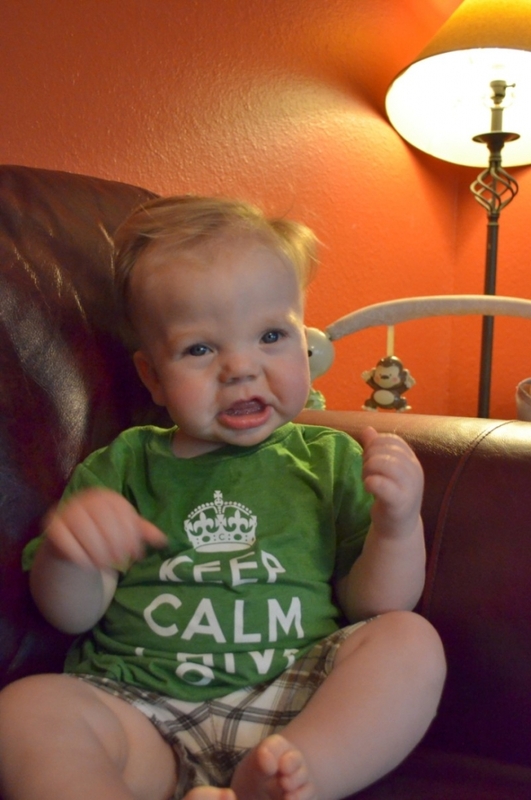 Kellan had his third surgery to remove it, allowing him to breathe properly. A geneticist performed a chromosome test on Kellan. 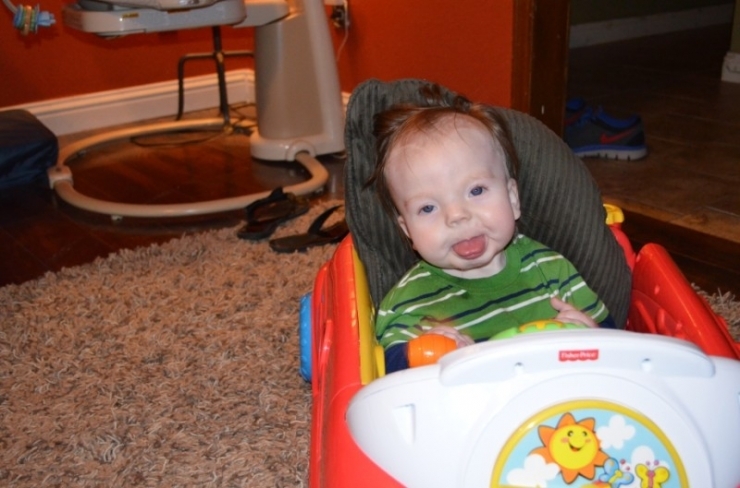 The first good news in a while, the test showed Kellan did not have any kind of chromosome syndrome. This appeared to be a big step in narrowing down what Kellan was suffering from. 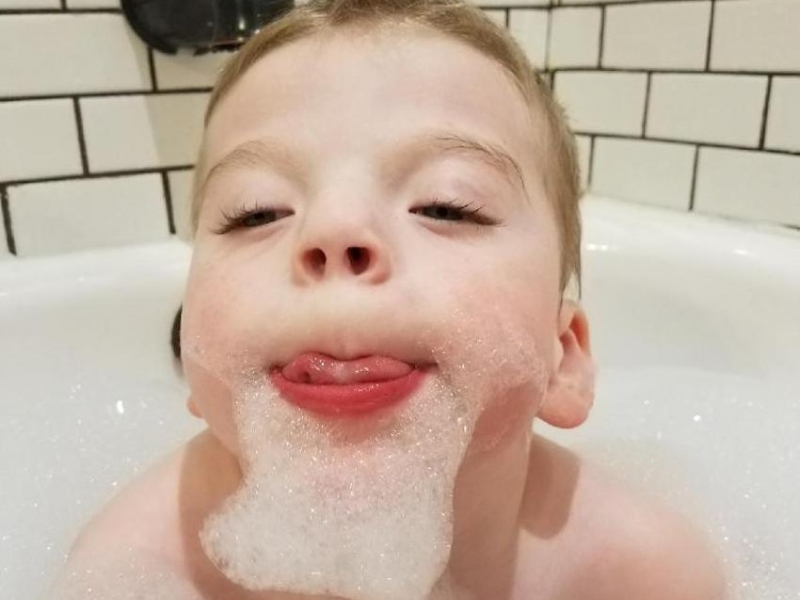 Misti was determined to use all this information and learn everything she could about her son to identify his disorder. When he was 2 months old, she got Kellan's vision and hearing tested. More bad news. 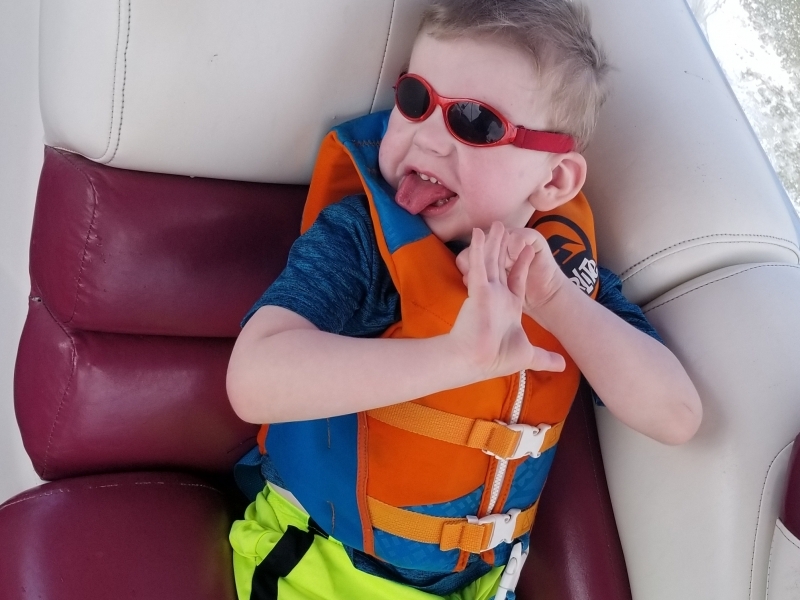 Doctors discovered Kellan had optic nerve hypoplasia, which means his optic nerves are very small, making it difficult for him to see. On top of that, he also has Ocular Albinism in both eyes, which makes them very sensitive to light. His hearing tests showed moderate to severe hearing loss. It was also later discovered that Kellan experiences numerous sleep apnea episodes throughout the night and has silent reflux. "I wondered what else we would find out about our baby. He seemed to be full of secrets," Misti told us. All the while, the Woods still had no official diagnosis for their son. Their geneticist had been working to find an answer. Misti also did her own rigorous research every night. "I was scared to death that we were going to miss something. I needed to know his diagnosis so I could hopefully prevent anything bad from happening in the future." After months of hunting, she came across a disorder called Pallister-Killian Syndrome (PKS). PKS is caused by the presence of an abnormal extra chromosome. Children with PKS have extremely weak muscle tone in infancy, intellectual disabilities, sparse hair, unusual skin coloring, and other birth defects. 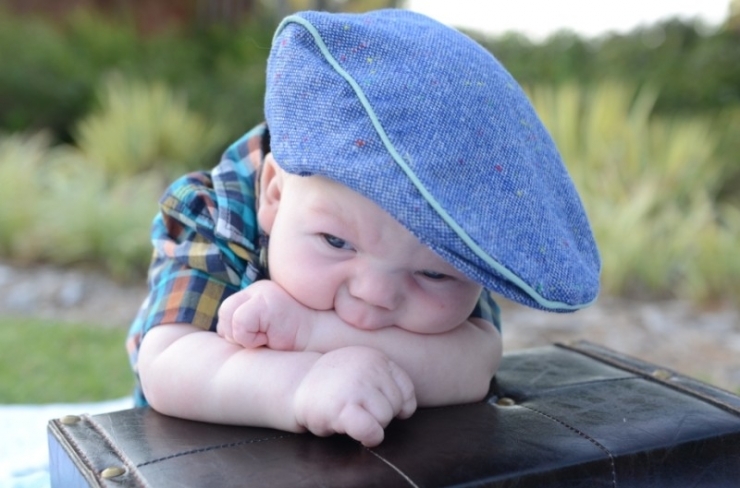 What stood out to Misti most was that they have distinctive facial features; a high, rounded forehead, a broad nasal bridge, a short nose, widely spaced eyes, low-set ears… Pictures of children with PKS looked exactly like Kellan. At first, it was tempting to dismiss this disorder as a possibility. 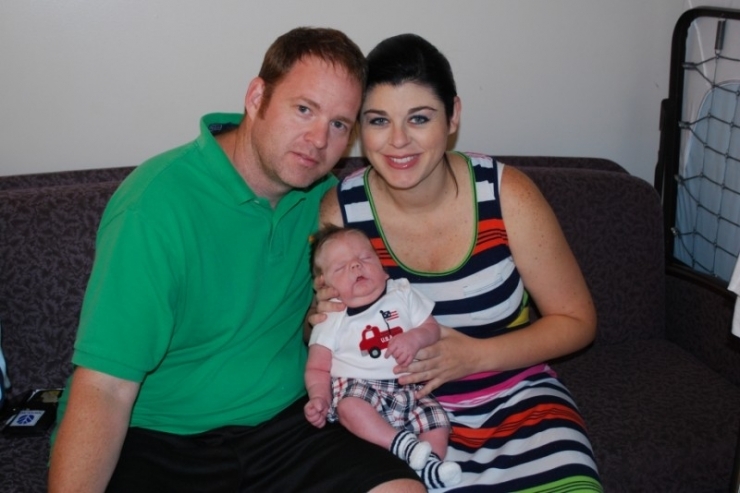 After all, Kellan's chromosomal testing hadn't revealed any kind of chromosome abnormality. But there was no denying the resemblance in the facial features. Further research revealed that 99% of children with PKS falsely test normal for chromosomal testing because it is a mosaic syndrome. It can usually only be detected by cheek swab or skin biopsy. Misti spoke with her geneticist and requested that a cheek swab be done specifically for PKS. After 5 months of relentlessly seeking answers, the results came in. It was a bittersweet moment. At last, the family knew what they were dealing with. Kellan tested positive for Pallister-Killian syndrome. With the diagnosis, Misti admits, "Our dreams of him getting married, having babies, and living on his own are forever gone." Most of the health complications with children who have PKS are a result of their low muscle tone. They require lifelong therapy. The doctors appointments, surgeries, tests, and therapy bills are adding up. Misti has to stay home to take care of Kellan. The family of 5 is surviving solely on Aaron's income. 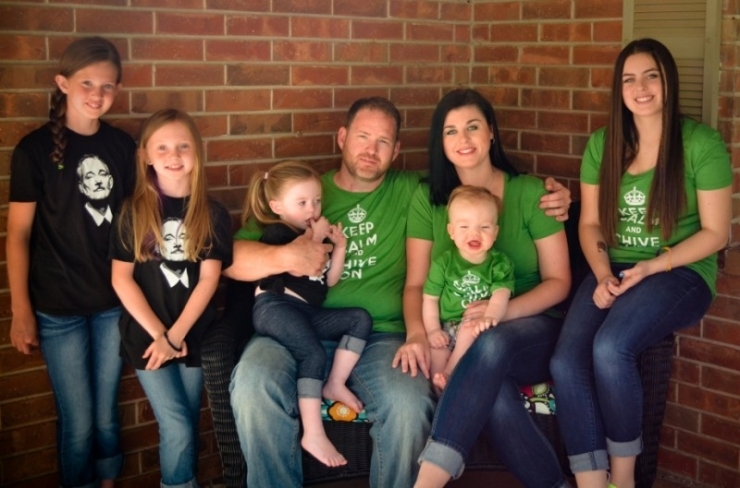 They need help, which is why Chive Charities is proud to announce that the Wood family is receiving a $52,000 grant from the Chive Fund! Your donations are going towards therapy equipment and toys, educational equipment, and a therapy room addition to the Wood's home. There is still very little known about PKS. It is a rare condition, with only around 200 people diagnosed worldwide. Misti has confessed feeling alone because people don't understand how much work it takes to take care of Kellan. We are excited that part of the grant went towards travel and accommodations to send the Woods to the Pallister-Killian Syndrome Medical Conference in Chicago! They were able to get educated and share with other families who know exactly what they are going through! Here they are at the conference! Some of the therapy and educational equipment we got Kellan! This family of 5 is outgrowing their 3-bedroom house. Kellan's many doctors appointments has Misti spread pretty thin. What she needs is a separate room in their house for all of his therapy equipment. This would eliminate many appointments and allow for therapy at home. 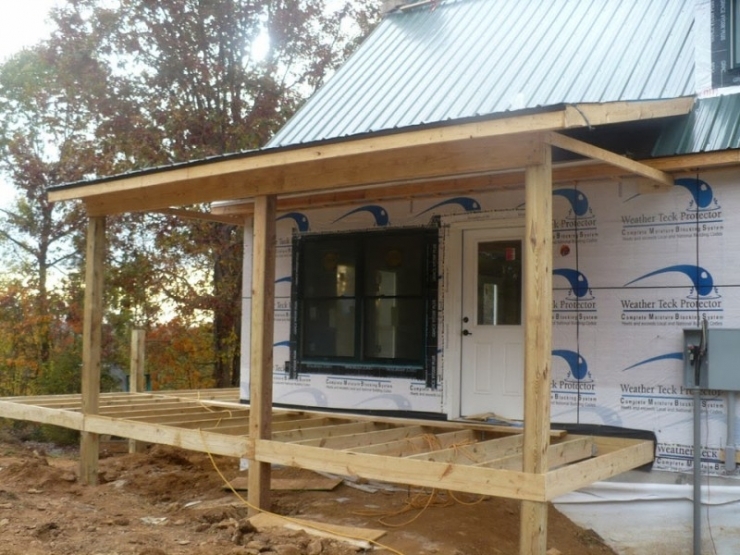 As part of the grant, we are building a Therapy Room Addition to their house! This special room will house all of Kellan's therapy equipment and sensory stations! He will have a safe place to play and work on staying strong! This picture is where the addition will be built. Misti is tenacious. She tirelessly worked to find a proper diagnosis for her son. While the answers weren't what she was hoping for, her efforts paid off. The family has a starting point and an idea about how to treat Kellan. She wants to raise awareness and bring hope to other families with loved ones who have PKS. "Our dreams have changed and we are embracing this new path we've been taken down. We still have dreams that Kellan will walk, talk, be healthy and strong." 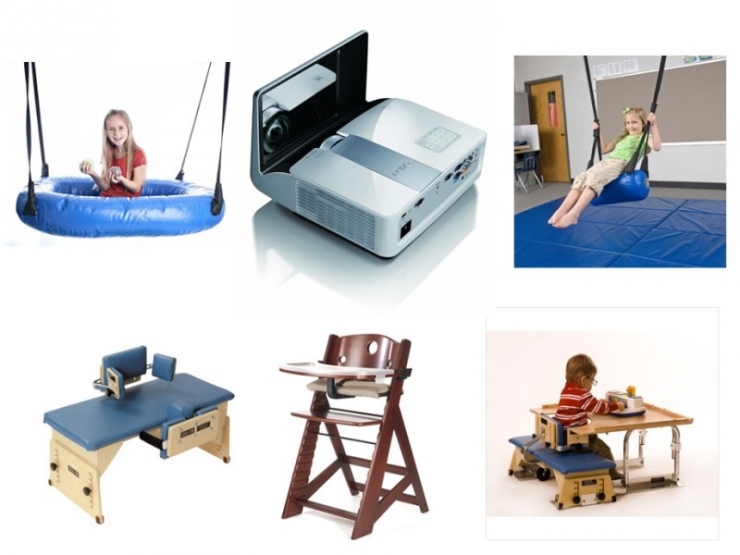 Misti is committed to using all of Kellan's new therapy equipment with him every day. She is determined that he will accomplish all of their goals and believes he has it in him. If we know anything about Misti, it's that she accomplishes what she sets her mind to.